Don't limit yourself to the grill when it comes to cooking ribs. 1 How Long Should I Cook a Boneless Rib Roast? Grilling and baking ribs are not the only cooking methods that can produce a delicious final product. Pressure-cooking your ribs creates a juicy end product in a fraction of the time required by other methods. Heat up your pressure cooker on a high setting and add the cooking oil to the bottom of the pot. Brown the ribs in the oil once the oil becomes hot. Because pressure cookers use a moist heat to cook food, it is necessary to pre-brown food before cooking it in the pressure cooker. Remove the ribs and wipe excess oil from the pan with a kitchen rag or paper towel. 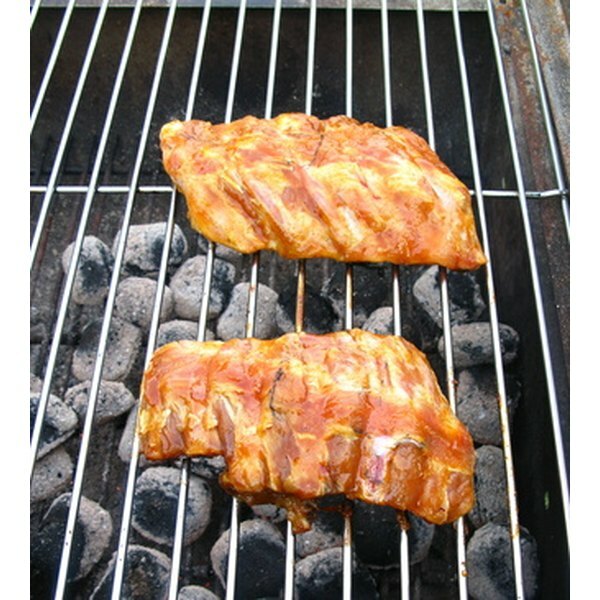 Place the ribs back in the pot and cover them with your desired amount of barbecue sauce. Add enough water to cover the bottom of the pot, about 1/4 inch deep. Lock the cover on to your pressure cooker, set the pressure to high and cook for about 15 minutes. Allow the pressure to fall of its own accord after the cooking time has finished. Pressure cookers can be dangerous when misused. Always follow the manufacturer's instructions when using your electric pressure cooker. Tony Patterson is a native of Milwaukee, where he has been working as a freelance web content writer since 2004. His work can be found on eHow and Ansewerbag where he covers computer, electronics, general technology and gaming topics. Patterson holds an Associates of Business: visual communications & computer graphics degree from The Technical College of Milwaukee. Do I Have to Use Rock Salt When Baking Oysters?